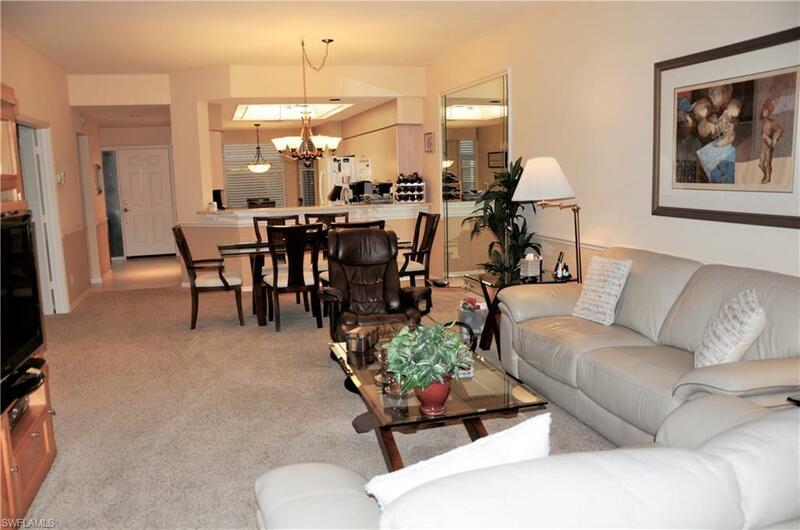 This Exceptional End Unit has 1661 sq.ft., with East and West screened and tiled Lanais and a detached garage. It has a nice golf course view of the 7th fairway of Olde Hickory's Championship Golf Course. The West Lanai has power storm shutters and acrylic sliders. 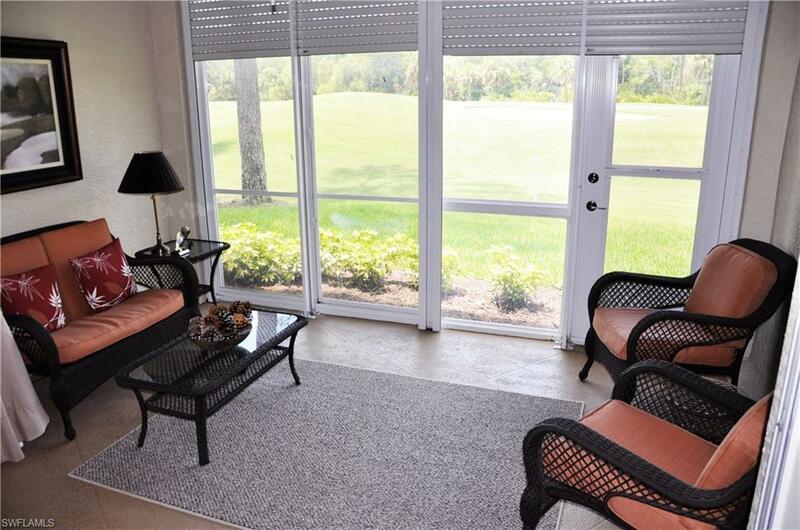 The front lanai and kitchen/hallways are tiled and the living and bedroom areas have newer carpeting. The kitchen has corian counters and newer built in cabinets and pantry. The AC and Hot Water Heater were replaced in 2015 and washer and dryer replaced in 2017. Eurex Storm shutters are on the master bedroom windows. A Jacuzzi Tub is in the master bath along with a shower and new lighting. This condo is partially furnished. 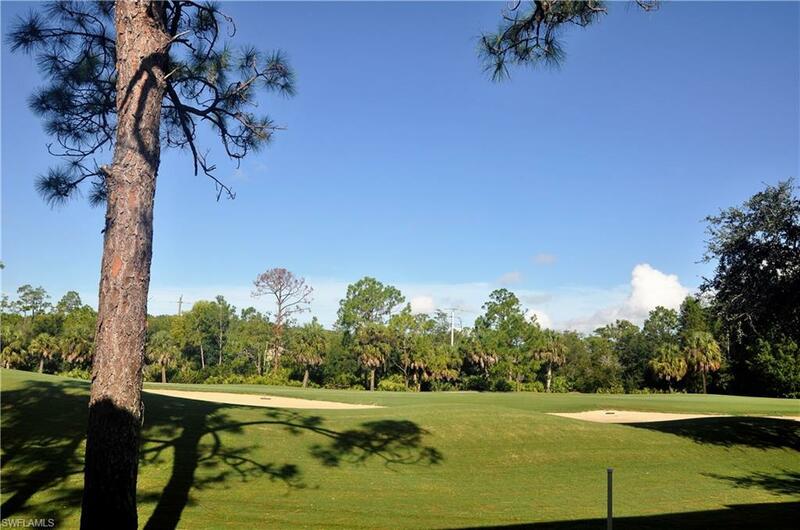 Olde Hickory has one of the best golf courses in Southwest Florida with a newer state of art fitness center, restaurant, swimming pool, tennis and pickle ball courts, a grass driving range, putting greens and chipping area. Olde Hickory is the lowest density bundled golf course in Southwest Florida with 561 properties allowing you to play many times each week. 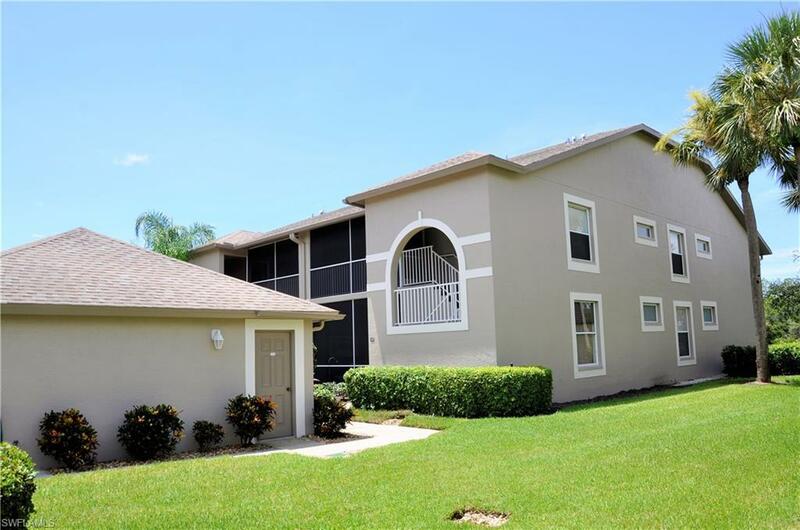 Olde Hickory has a great location near I-75 and Southwest Florida International Airport. Listing courtesy of Don Spaulding of Golf Realty Group Inc.